This coveted 4 sided brick ranch in the Brookfield Country Club will not last! Walk inside this spacious foyer with a totally separate generous master wing. 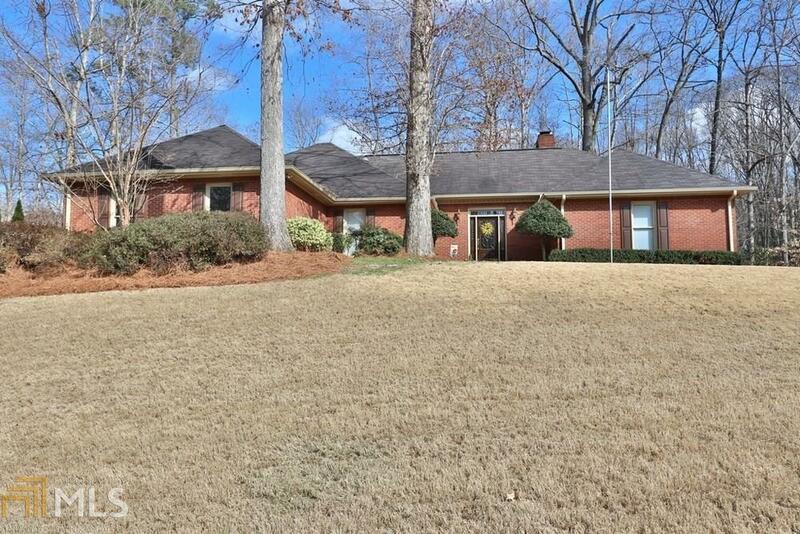 MSTR B/D has trey ceilings and great lighting with an inviting spacious MSTR B/T. 3 BD & 2.5 BT on the main. Secondary bedrooms are roomy with a charming secondary b/t. Spacious large Family Room with great natural lighting. Built in bar by the gas F/P. Full unfinished basement with 1 full b/t in terrace level. A finished office in the basement with another wood burning f/p. Workshop in terrace with commodious sized rooms. Great backyard with tons of potential. Directions: 400 North, To Holcolmb Bridge 7b Heading East. Turn Right Onto King Rd. Turn Left On Hardscrabble Rd. By Roswell Hs. Turn Right Onto Brooksglen Dr. Turn Right On Terrace Oaks Drive. Turn Left Onto Ferncroft Court. Home Will Be On Your Right.